No, it's not a gospel record (although the duo name could easily leave that impression), and while there may not be any brimstone in the grooves, there's plenty of fire! Moses is Moses Dillard, a very talented man who formed a touring r&b revue called The Dynamic Showmen in South Carolina while he was still a teenager c1963, and had a long career as both vocalist and hot shot session guitarist in Muscle Shoals. 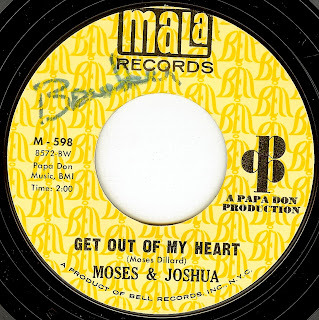 By '66, he was paired up as a duo with James Moore ("Joshua") for a few singles released during '66-'68, of which this was their peak, in my opinion. 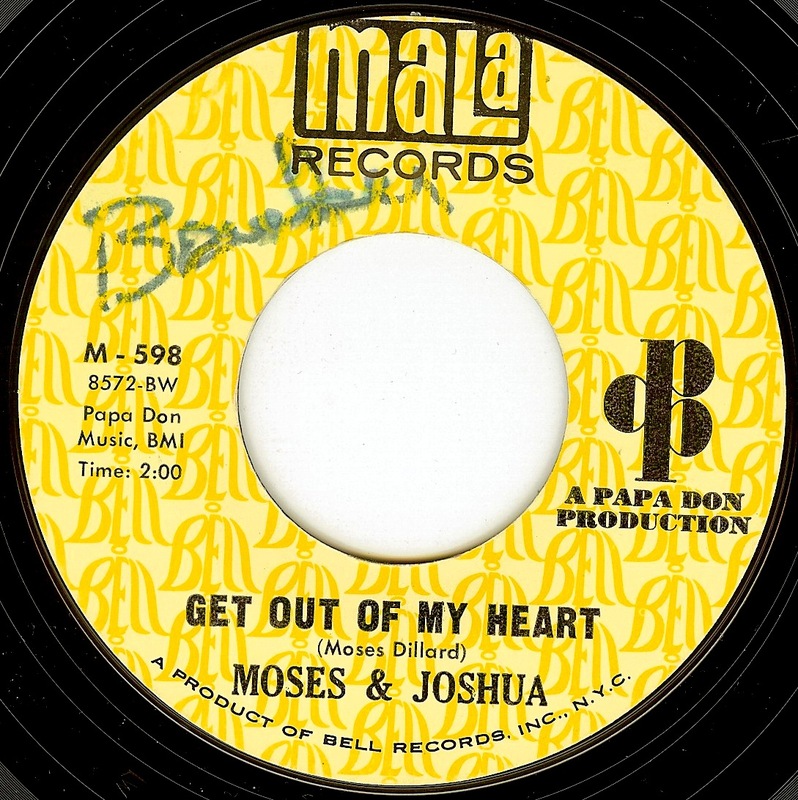 "Get Out Of My Heart" is an uptempo stormer with some fabulous dual vocals, undoubtedly influenced by Sam & Dave; however, these two are not mere copyists as they perform with their own identities. The flip side, "They Don't Want Us Together" is a heart melting, gorgeous deep soul track that showcases the crooning ability of these fine singers. Wow! Diggin' the you-know-what out of this one!